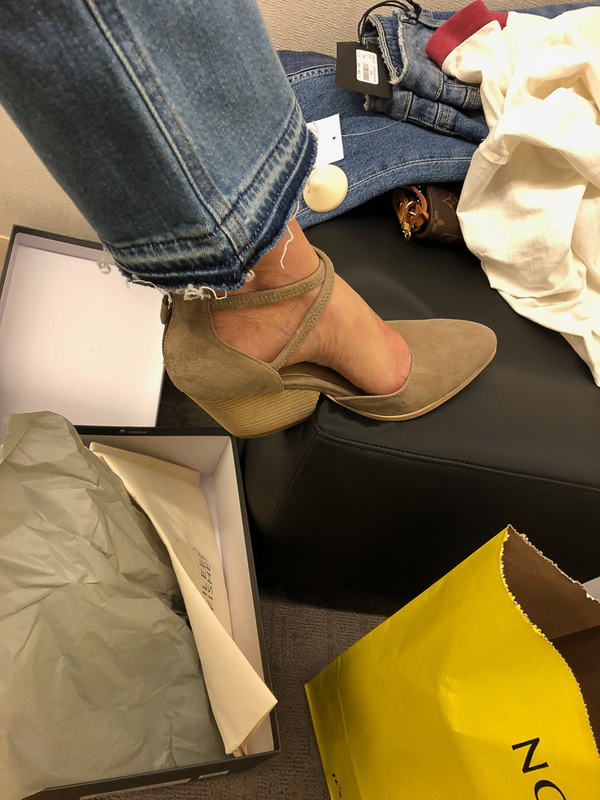 The Nordstrom Anniversary Sale 2018: My Top Faves! It’s that time of year friends! 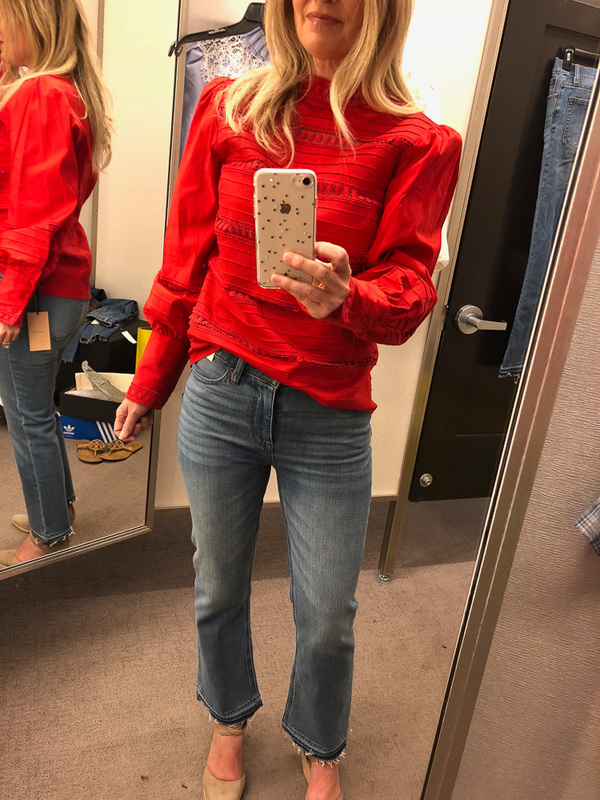 The Nordstrom Anniversary Sale has begun and is THE SALE that I hit every year because it’s so good with new Fall items discounted 30-40% off! 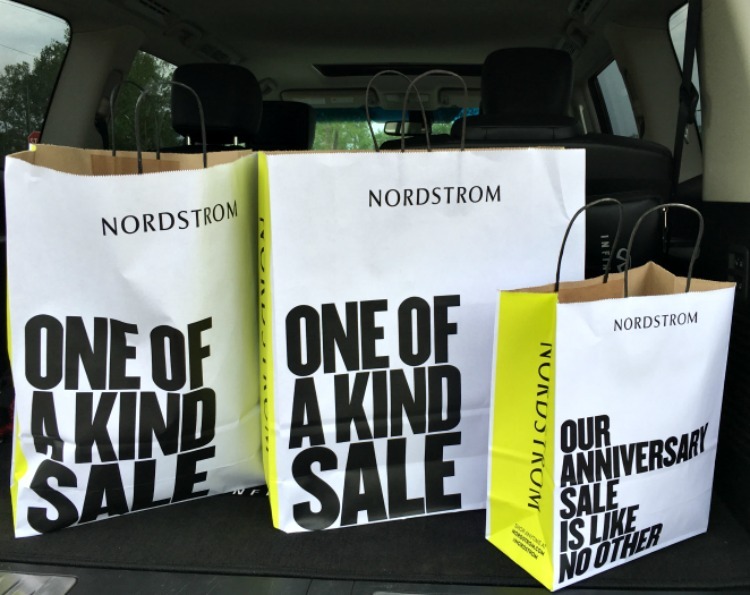 The Early Access Nordstrom Sale started yesterday for Nordstrom cardholders and runs through 7/19. After that date, it opens up to the public and runs through 8/5. Get the card! // This is the only way you can start shopping the Early Access sale NOW! The most popular items are already selling out and this is the only way you have a chance to get the items you want before most will be sold out come 7/20 when the sale opens to the public. I’m not the person who carries a credit card for every store, but Nordstrom is my only exception. I made a personal trip to Nordstrom in Denver yesterday and could not believe how fast everything was selling out. You can sign up for the Nordstrom card HERE. This sale is featuring all the new fall pieces discounted up to 40% off!! Of course, there are tons of “non-fall” clothing/shoes/accessories on sale but I thought this was a good time to plan ahead for those colder months. So many great deals for the entire family. Nordstrom offers FREE SHIPPING & FREE RETURNS! This is why I love Nordstrom. If you are ordering online, which I highly recommend to avoid the crowds in store, then you can shop with confidence knowing that whatever items may not fit or work out can easily be returned with zero hassle. I strongly suggest that if you are unsure on sizes to order your items in a couple of sizes. Keep the ones that fit and easily return the others that don’t. If you wait until your items arrive and then find that the fit isn’t perfect, then it may be sold out in the size you need come time to reorder. The last day of the sale is 8/5 and prices go up 8/6. OBSESSED with these boot crop ankle jeans! I’m 5’3″ and may need to order in petite for a higher ankle fit. Super soft and comfy. 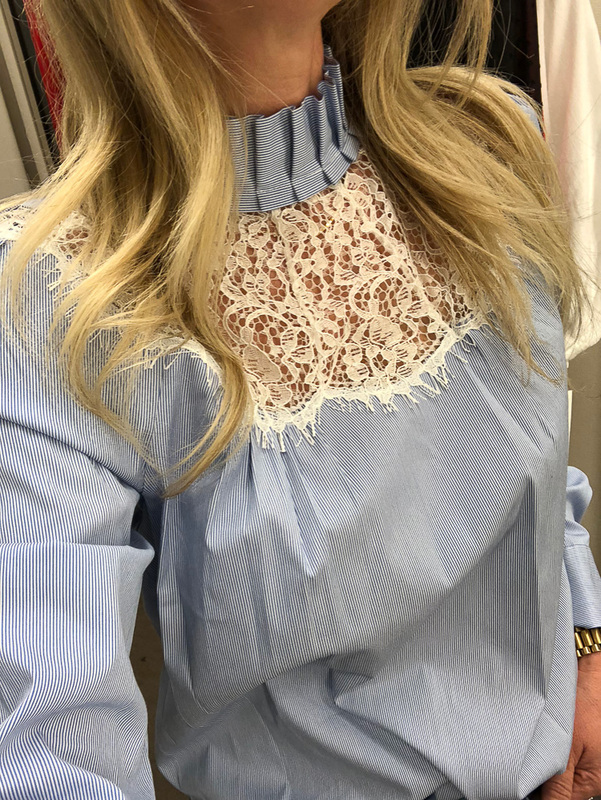 Loving this charming lace inset blouse! 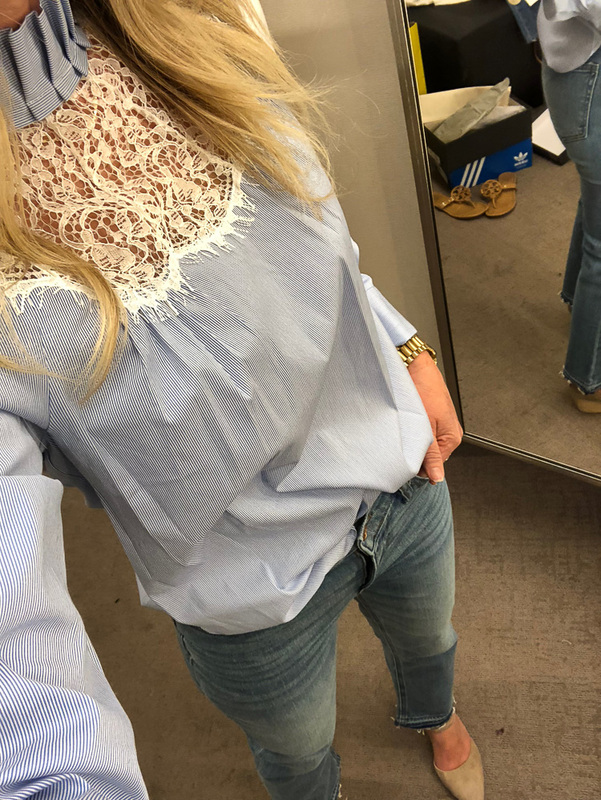 Loving the lace detail on this blouse and it’s actually really comfortable. 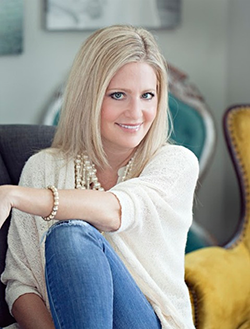 Styling it with denim this weekend for a fun event! Another favorite and purchase…these pumps! 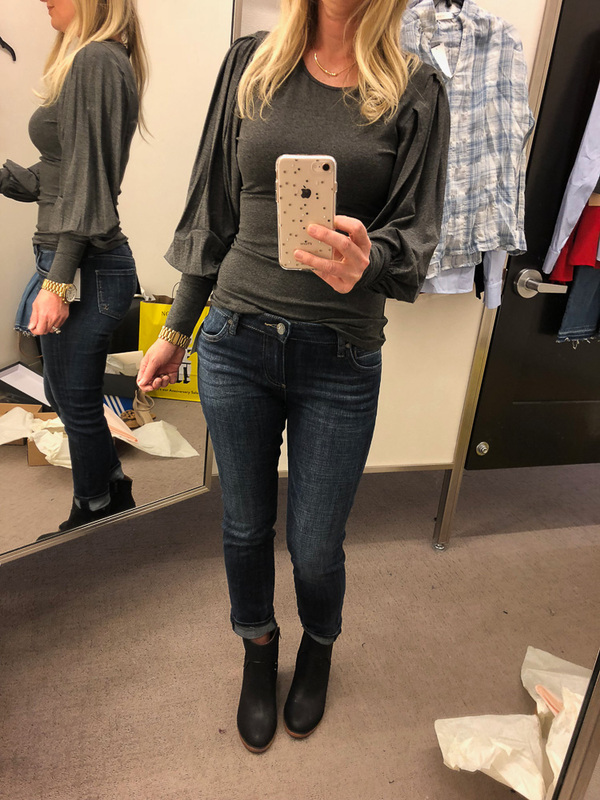 This soft and flattering long sleeve Tee came home with me too! These denim jeans area a great fit and flattering! THESE booties jumped into my shopping bag too! Available in brown as well. Happy Shopping!!! I’ll continue to update this post as I hunt down more favorite items! Love all of these choices! They look great on you too! Thanks for sharing! You’re so sweet to say that! Thank you! !